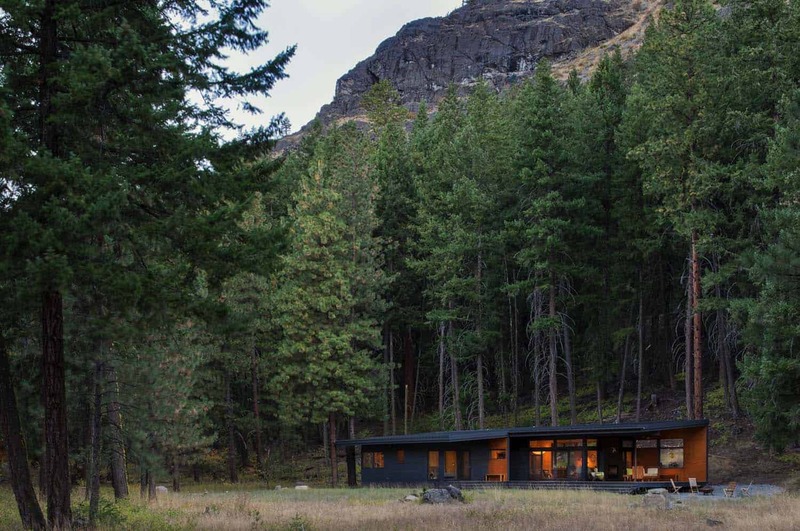 This modern mountain cabin was designed by Prentiss Balance Wickline Architects, located in Mazama, a community in the Methow Valley of Washington. 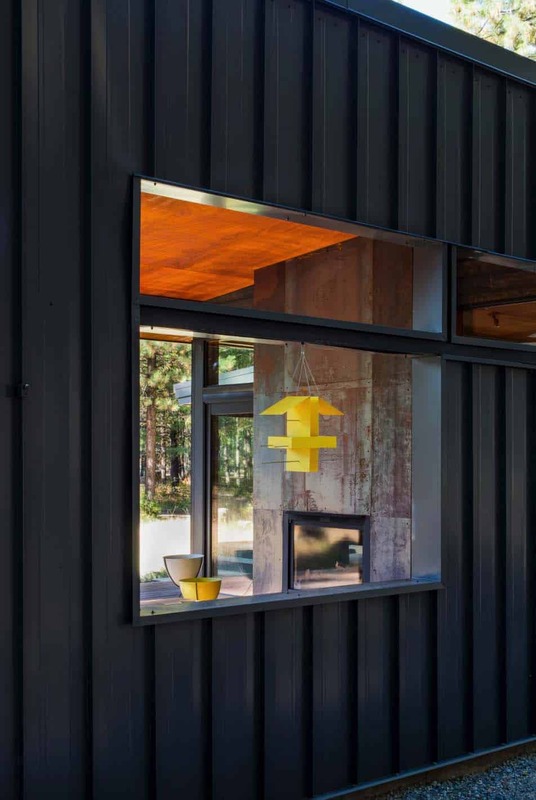 Seeming to float atop a feathery meadow, this home is surrounded by towering ponderosa pines. Nestled at the base of a dramatic rocky butte, this low-slug dwelling captures views up the boulder-strewn slope, forest and Cascade Mountains in the distance. Composed of just 1,100 square feet, this cabin was designed for a couple with a tight budget and an affinity for indoor-outdoor living. 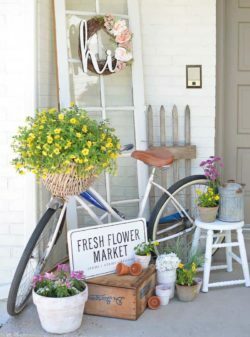 The design focused on breaking down the indoor-outdoor barriers, providing a space that is reflective of the homeowner’s lifestyle. 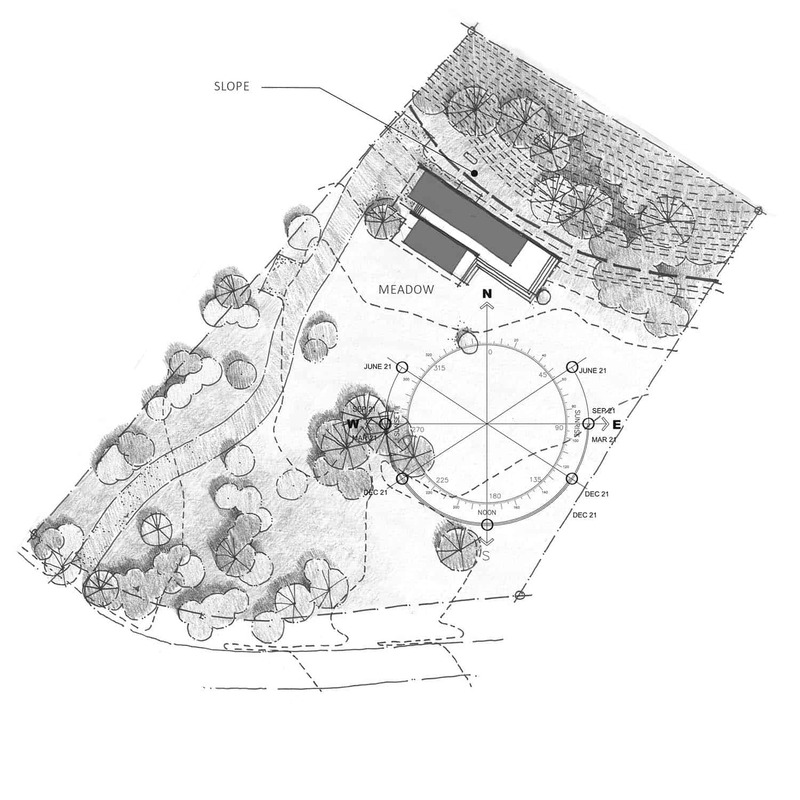 The overall design was inspired by the surrounding landscape. 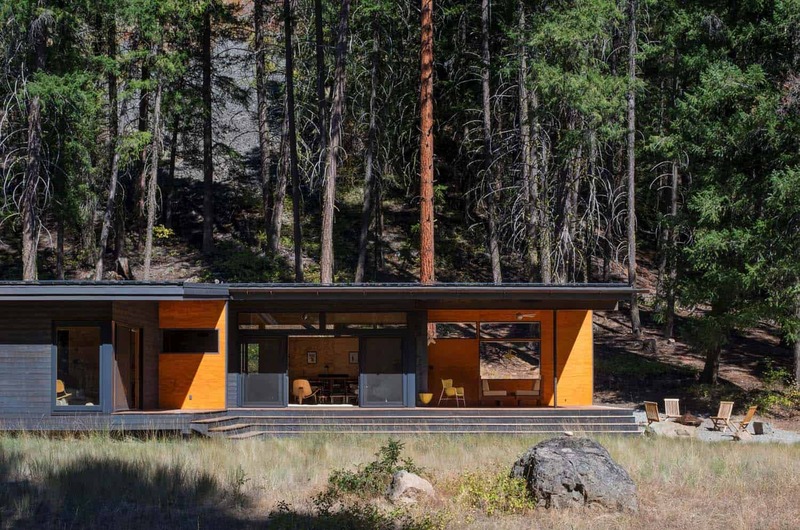 The cabin is in the form of an L-shape, with the main living spaces—kitchen, dining and living areas on one wing, set back against the slope. The laundry and garage are also in this zone. 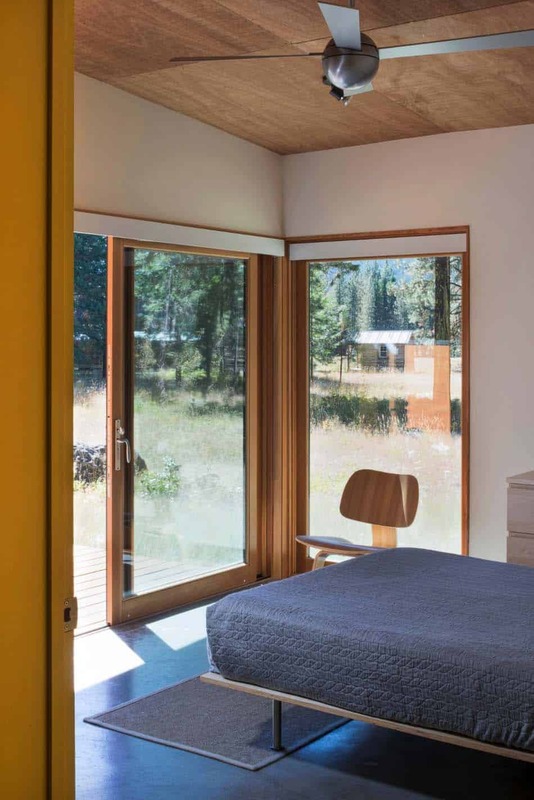 A hallway and deck separates public and private spaces—the master bedroom and bathroom along with a second bedroom/flex room, stretching towards the meadow. 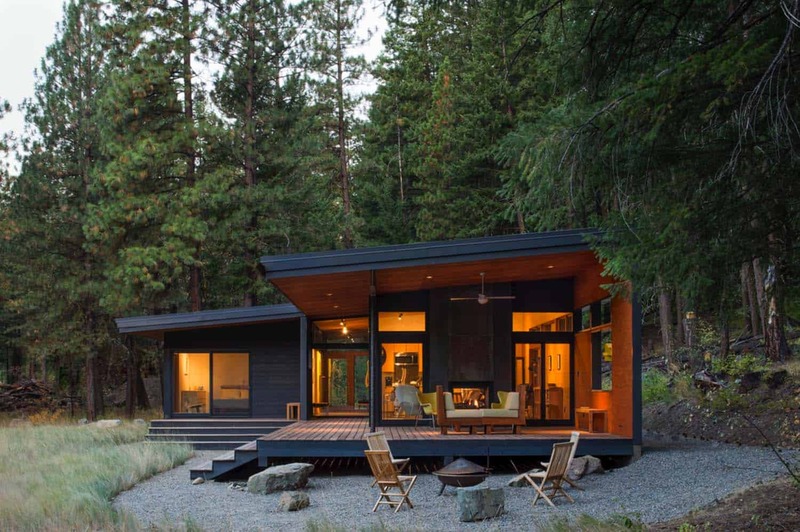 What We Love: This modern mountain cabin offers an idyllic indoor-outdoor lifestyle with a small footprint and low-maintenance materials. Stylish mid-century furnishings and clean lines produces an overall aesthetically pleasing design. 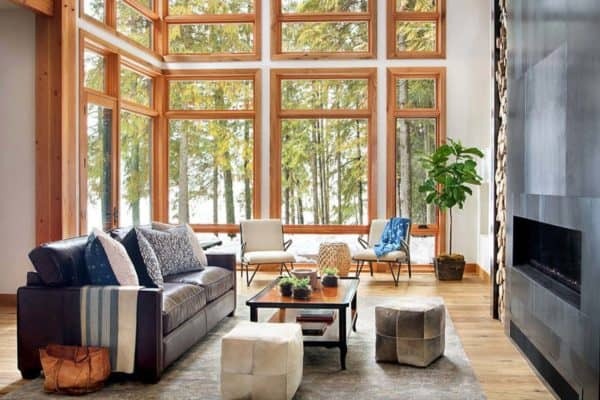 We are especially loving how there is almost as much outdoor living space as indoor living space, encouraging one to spend time enjoying the fresh, clean mountain air… Readers, what do you think of the overall design of this cabin? Please share your feedback in the Comments below! 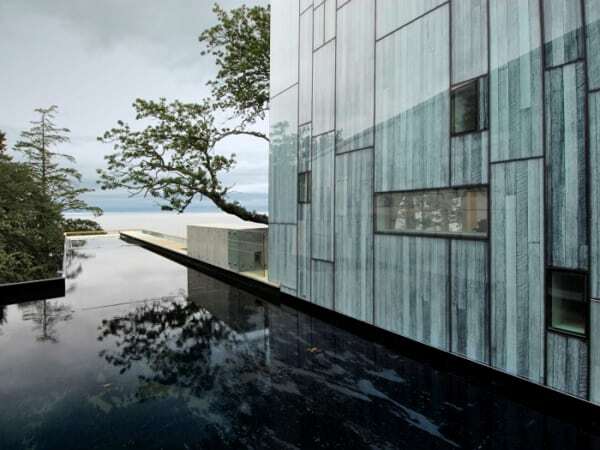 Note: Have a look at a couple of our favorite home tours that we have featured here on One Kindesign from the portfolio of Prentiss Balance Wickline Architects: Modern sanctuary nestled on the rugged San Juan Islands and Modern cabin inspired by Danish design on the Hood Canal, Washington. 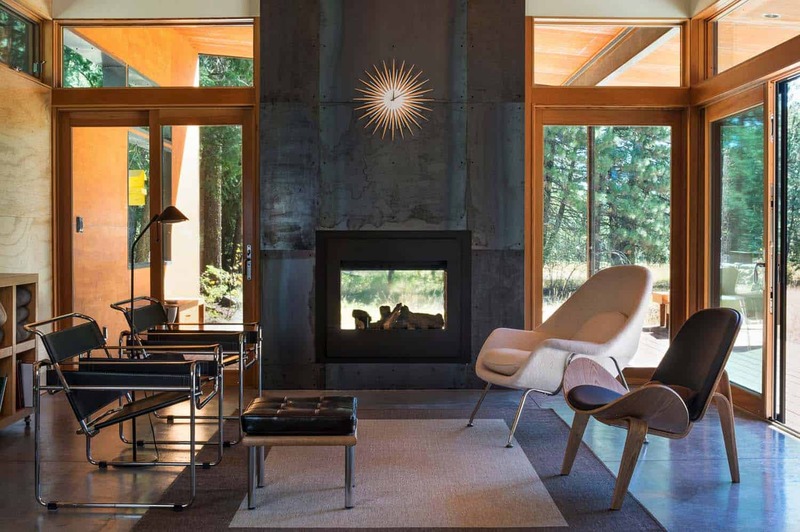 Above: The fireplace surround is made of hot-rolled steel panels, customized to the architects specifications. 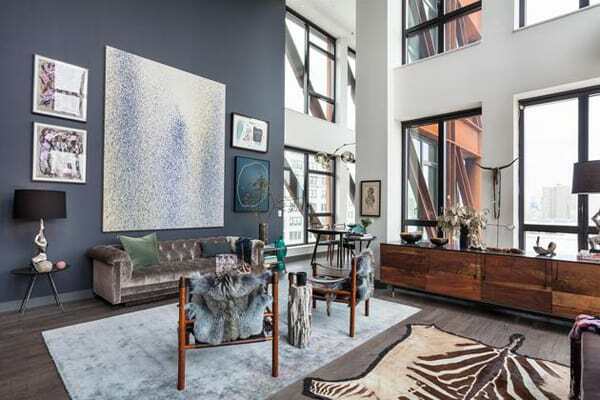 Mid-century modern fixtures and furnishings can be seen throughout the interiors, including the Hans Wegner shell chair and Wassily chairs in the living room. 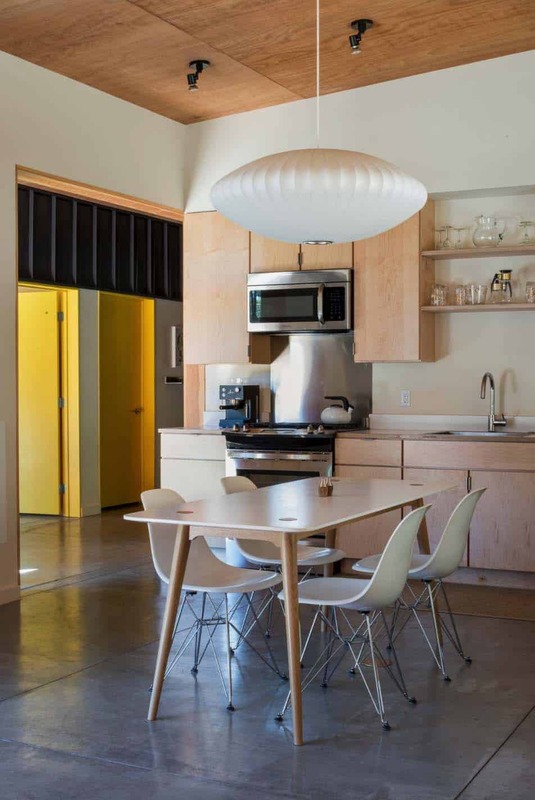 Above: In the kitchen, a clean-lined aesthetic of plywood cabinetry and ceiling panels combine with white walls. Above the dining table is a Nelson Bubble Lamp. 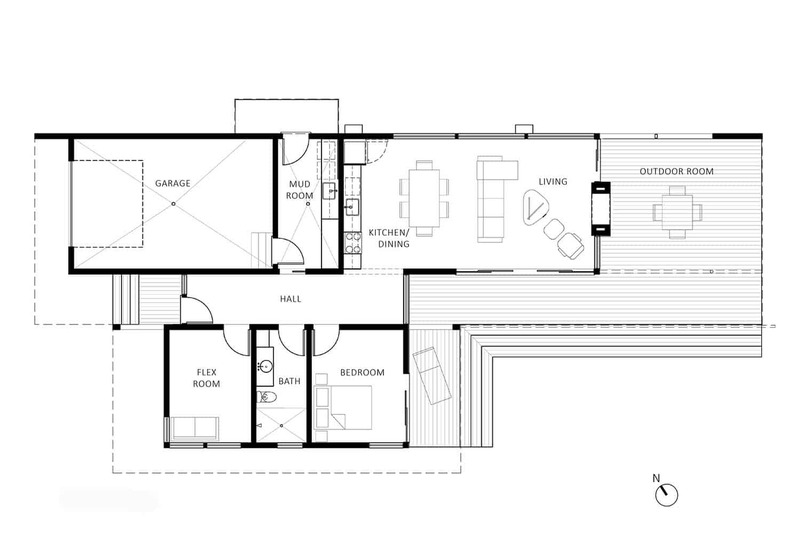 Above: The master bedroom opens out onto the deck and beyond to the meadow. 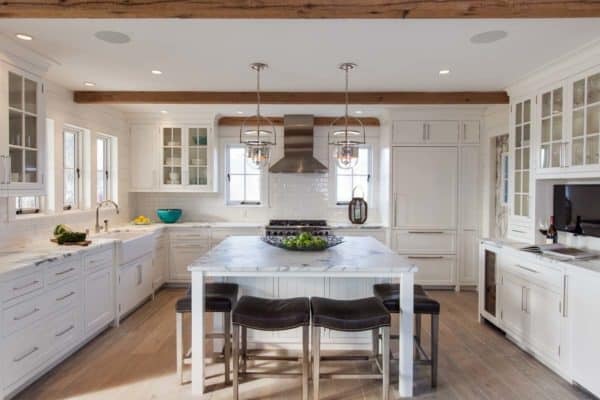 Above: Kitchen, living and dining spaces open onto a 785 square foot covered outdoor living room. 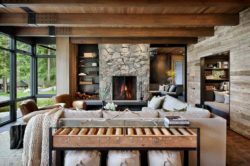 The space features a dual-sided fireplace, the Twilight Modern Gas Fireplace from the Hearth & Home Technologies Outdoor Lifestyles collection. Above: A view into the outdoor room. The siding is standing-seam metal, which is the same material used on the shed roofs. 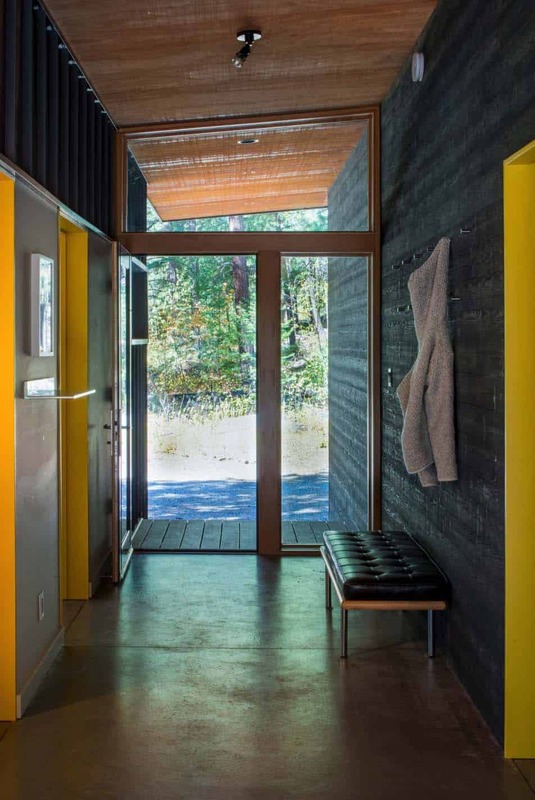 Above: The cabin is composed of material elements of plywood, shiplap siding and standing-seam metal. 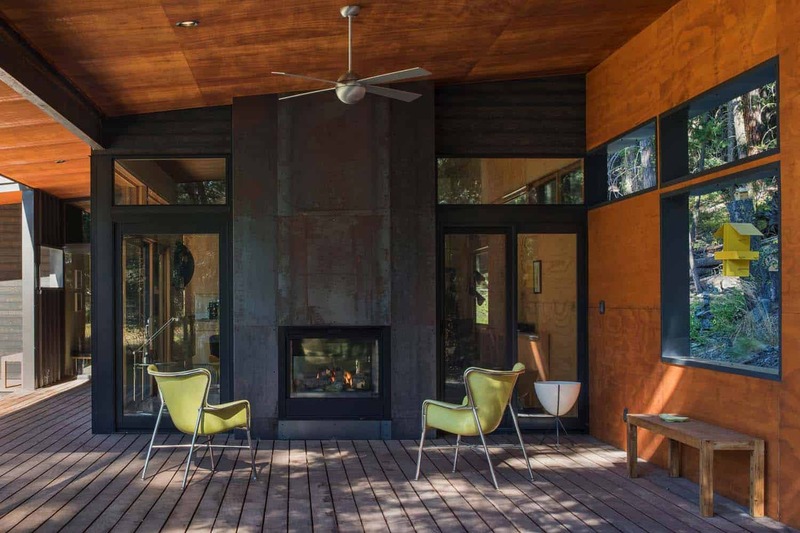 The concrete stem walls of the house’s foundation have been pulled back, while wide steps that descend from the deck play double-duty as outdoor seating. The steps of the deck are low enough to not require guardrails. The goal was to make this long and lean cabin appear to hover gracefully above the grassy meadow. 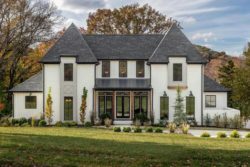 Above: Blurring the lines between indoors and out, the project team employed Sierra Pacific aluminum-clad doors and windows throughout the home.